Here is the 2019 version of our popular Easter Basket Box. It comes to you wrapped, ready to present, and includes our adorable Flop Ear Bunny, and our little Chubby Bunny. 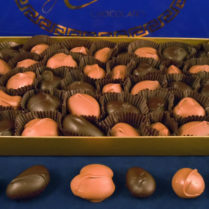 Both are in our solid premium milk chocolate. 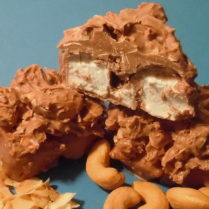 NEW this year we’ve also included our Muddy Peeps (marshmallow Peeps half dipped in Alethea’s Chocolate)! 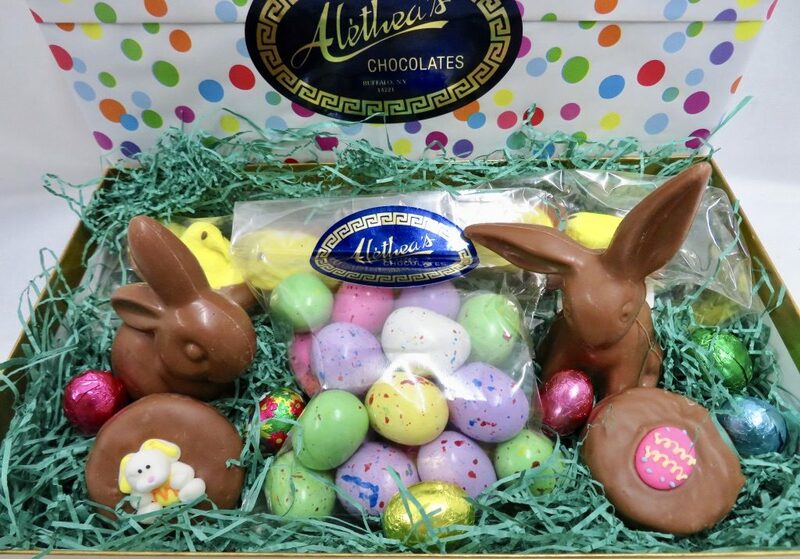 To complete your basket, we have foiled Chocolate Eggs, Chocolate Malted Eggs, & our scrumptious Easter Oreos. No shopping around for baskets, Easter grass, Chocolate, Eggs etc. etc. It’s all right here!